Next layer cheddar cheese, then sausage, then pepper jack cheese. 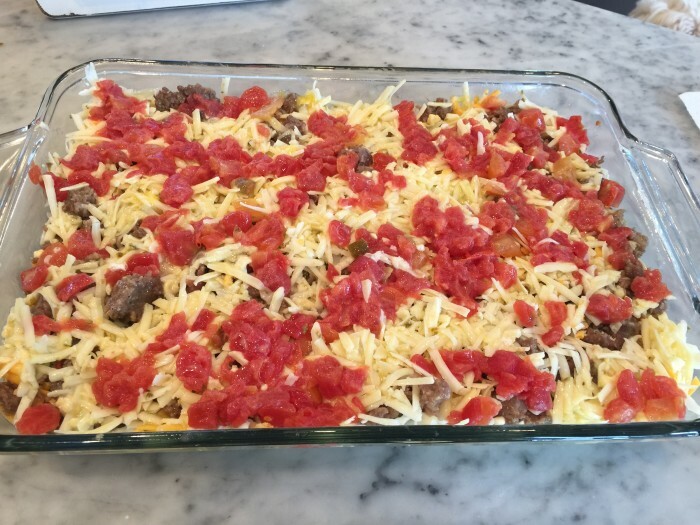 Pour drained rotel on top. In a mixing bowl, combine eggs, milk and flour. Pour over other ingredients in pan. The next morning, remove from fridge and uncover for 30 minutes before cooking. Cover pan with foil and bake for 40-45 minutes.